The latest Nintendo Download update for Europe has arrived, and it's bringing new games galore to the eShop in your region. As always, be sure to drop a vote in our poll and a comment down below with your potential picks for the week. Enjoy! 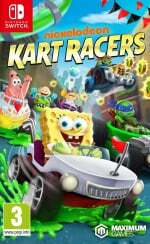 Nickelodeon Kart Racers (GameMill, €39.99 / £29.99) - Hit the Slime-filled race tracks with Nickelodeon Kart Racers! 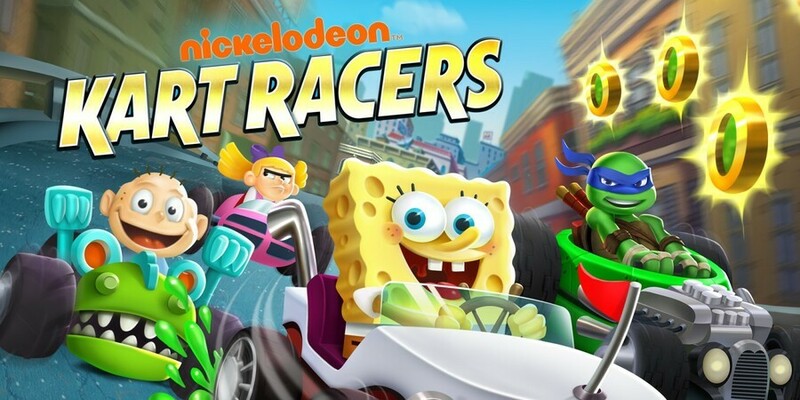 Select a racer from one of your favourite Nickelodeon series, including SpongeBob, Patrick, and Sandy from SpongeBob SquarePants, Leonardo, Raphael, Michelangelo, and Donatello from Teenage Mutant Ninja Turtles, Arnold and Helga from Hey Arnold!, & Angelica, Tommy and Reptar from Rugrats. Dracula's Legacy (Joindots, €19.99 / £17.99) - Haunted by frightening dreams about her forgotten past, Isabella - along with her fiancé - travels to an old ghost town, the only clue to her origins that she has been able to dredge from the depths of her lost memories. Just Dance 2019 (Ubisoft, €59.99 / £49.99) - Wherever life takes you, Just Dance 2019 will keep you dancing for hours with an insane amount of content for the whole family to enjoy! Just Dance 2019 comes with over 40 new and fun songs, and access to more than 400 songs available with Just Dance Unlimited. Every copy of the game comes with 1 month of free access! Let's Sing 2019 (Koch Media, €39.99 / £29.99) - It’s your time to shine! Whether you're training your voice solo or celebrating a karaoke party with friends and family – it will be a success with Let’s Sing 2019’s new game modes and features. The latest version of the Let's Sing series features cutting-edge artists. 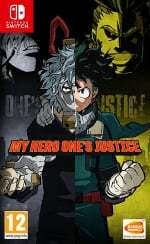 MY HERO ONE'S JUSTICE (BANDAI NAMCO Entertainment, €59.99 / £44.99) - Fight for your justice in MY HERO ONE'S JUSTICE! The popular manga and anime series clashes head-to-head and Quirk-to-Quirk in this 3D arena fighter. Pave your path and choose between hero or villain and battle through iconic moments. Project Highrise: Architect's Edition (KalypsoMediaGroup, €39.99 / £29.99) - Your job as the architect and developer is to build world-famous skyscrapers that will be the envy of the entire city, masterpieces of art and engineering. But a skyscraper is more than just steel and glass, it’s an intricate ecosystem, full of people that live and work in the building. They become a complex machine that needs your steady hand to keep it running smoothly and efficiently. DEADBOLT (Hopoo Games, €9.99 / £8.99) - DEADBOLT is an extremely challenging stealth-action hybrid that allows you to take control of the reaper to quell the recent undead uprising. Play and complete missions given to you by the mysterious fireplace as you become the avatar of death. ACA NEOGEO STRIKERS 1945 PLUS (HAMSTER, €6.99 / £6.29) - “STRIKERS 1945 PLUS” is a shoot 'em up game released by Psikyo in 1999. Make use of Shots, Super Shots, and Support Attacks to make your way through a chaotic dogfight! Arcade Archives Ninja-Kid II (HAMSTER, €6.99 / £6.29) - “Ninja-Kid II” is an action game that was released from the UPL in 1987. This 'Ninja-Kid II' has been developed in after three years from the 'Ninja-Kid'. Ninja-kun who got a new action and weapons will aim to overthrow of Ashura. 1001 Ultimate Mahjong 2 (NAWIA GAMES, €8.99 / £7.99) - Mahjong Solitaire has attracted players from around the world for decades - it took us just a couple of years to gather their experience into one, beautifully crafted proposal. What is so addictive in this subtle, yet demanding at a time, pair matching game? Now you can find the answer on your favourite gaming console! 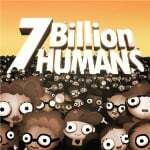 7 Billion Humans (Tomorrow Corporation, €14.99 / £11.99) - Automate swarms of office workers to solve puzzles inside your very own parallel computer made of people. A thrilling follow-up to the award-winning Human Resource Machine. Now with more humans! Arcade Archives ALPHA MISSION (HAMSTER, €6.99 / £6.29) - “ALPHA MISSION” is a shooting game released by SNK in 1985. Equip Power Armor as you fight and experience one of the most innovative shooting games of its time. Collect parts to assemble eight types of Power Armor to use strategically as you play the game. 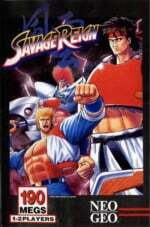 ACA NEOGEO SAVAGE REIGN (HAMSTER, €6.99 / £6.29) - “SAVAGE REIGN” is a fighting game released by SNK in 1995. In the first half of the 21st century, 10 great fighters have gathered to compete in King Lion's Battle of the Beast-God! Howling fists and flying weapons! A completely new style of fighting game. Aqua TV (EM Studios, €9.99 / £8.99) - Want to turn that big screen TV into a stunning virtual aquarium? Then get Aqua TV - a fully customisable virtual aquarium that lets your Nintendo Switch do just that! Choose a tank then change the floor, walls, decoration – and of course fish – to make the aquarium YOU want! 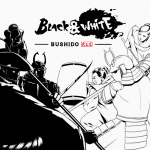 Black and White Bushido (Good Catch, €10.99 / £9.99) - Fight for control of the light or the dark in multiple arenas, hiding from your foes and seizing objectives. Pick up items and use them to surprise, maim and trap your opponents in a way only a true warrior can. Car Quest (Ezone, €8.49 / £7.69) - Buckle-up for an epic road trip through a colourful world of puzzles and adventure. Use driving skills and puzzle solving abilities to find missing artefacts and piece together the broken world of Blocktaria. 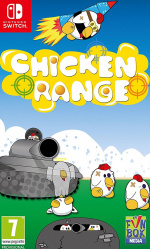 Chicken Range (Funbox Media, €24.99 / £22.49) - The object of the game is to shoot the chickens using an array of different weaponry, from pistols, to AK47, RPG’s to Alien Ray Guns! Gameplay is set over a field twice as wide as the screen, so you must be constantly moving your aim side to side in order to reach the whole game field. Eternum Ex (Zerouno Games, €12.99 / £12.99) - Eternum Ex is a retro platform video game with the look and feel of the ’80s arcade cabinet games. PIANISTA (Superb, €19.99 / £17.99) - Beautifully tuned music and marvellous technique awaits. Lay your fingers on the controller to explore the sound of the piano. Puzzle Wall (Rainy Frog, €7.99 / £6.99) - In the spotlight and under pressure, a series of walls are coming straight at you! Each wall has a gap cut out in a different body shape. SpiderSolitaire BLACK (G-mode, €3.56 / £3.21) - Classic Solo play card game "Spider Solitaire" has been arranged in cool style! 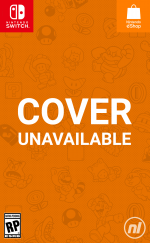 300 stages in Stage mode, and also Random mode is playable! Storm In A Teacup (Rising Star Games, €2.99 / £2.99) - A boy, a dream and an enchanted teacup… it's time for an exciting experience you'll never forget! Storm's brother, Cloud, has created an amazing dream-like world for you to explore, packed with all kinds of challenges! 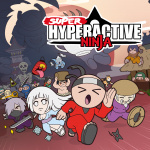 Guide Storm through each stage solving puzzles, avoiding pitfalls and beating bad guys in this magical platform adventure. Suicide Guy: Sleepin' Deeply (ChubbyPixel, €5.99 / £5.39) - In this new chapter of "Suicide Guy" you'll be challenged with even more insane puzzles, generated by the surreal dreams of the “Guy”. You'll encounter the weirdest of the living beings as you go deeper and deeper into his subconscious. This time, to wake him up you'll need all your skills. Word Puzzles by POWGI (Lightwood Games, €9.99 / £8.99) - Enjoy more great POWGI word puzzles with this bumper collection of six favourite word games. Word Puzzles by POWGI Deluxe Edition (Lightwood Games, €19.99 / £17.99) - Enjoy more great POWGI word puzzles with this bumper collection of six favourite word games. 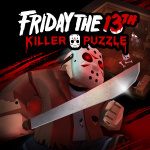 This Deluxe Edition includes six add-on packs with brand new content, adding hundreds more puzzles to the game! 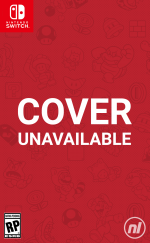 Let's Sing 2019 - Platinum Edition (Koch Media, €64.99 / £49.99) - It’s your time to shine! Whether you're training your voice solo or celebrating a karaoke party with friends and family – it will be a success with Let’s Sing 2019’s new game modes and features. The latest version of the Let's Sing series features cutting-edge artists. 911 Operator Bundle (SONKA, €21.99 / £19.69) - More 911 Operator in one bundle! Includes base game and 2 DLCs. 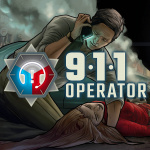 911 Operator (SONKA, €14.99 / £13.49) - In 911 Operator, you take on the role of an emergency dispatcher, who has to rapidly deal with the incoming reports. Your task is not just to pick up the calls, but also to react appropriately to the situation – sometimes giving first aid instructions is enough, at other times a police, fire department or paramedics’ intervention is a necessity. Fly O'Clock (Forever Entertainment, €1.79 / £1.61) - Fly O’Clock is a tiny, highly-addictive, single and local multiplayer arcade game. Play as a Fly jumping on the clock face while avoiding the clock hands - jump as fast as you can and leave your opponents behind! Freaky Awesome (BLG-Publishing, €12.99 / £11.69) - Freaky Awesome is a roguelite with the randomly generated environment, permadeath and a whole lot of gradually unlocked content. During the fight, you can mutate into a new form with unique mechanics and quickly adapt to survive. In addition to mutations, you can unlock skills and objects that affect mechanics and gameplay. Halloween Pinball (EnjoyUp Games, €1.99 / £1.79) - Enjoy Halloween Pinball, a perfect reproduction of a real pinball machine, with all the graphic details and sounds. Discover all the secrets, complete all the missions and become number 1 in the world or the best among your Friends, posting your high score on the online leaderboard. Paw Patrol: On a Roll! (Outright Games, €39.99 / £34.99) - No job is too big, no pup is too small! The PAW Patrol is ready to save the day in Adventure Bay on 16 exciting rescue missions, but they can only do it with your help! Help each pup use their unique abilities to rescue friends and keep their community safe. Startide (Forever Entertainment, €8.99 / £8.09) - Startide is the new take on the arcade top-down shooter - play as an elite pilot driving the Interstellar Recon Mecha geared with a unique set of weapons and special abilities. Explore the uncharted corners of the galaxy, discover its story and test your skills in epic battles against the most feared space dreadnoughts. Petite Zombies (RandomSpin, €0.99 / £0.89) - Protect your territory from the invasion of petite zombies. For better game convenience, use the stylus. 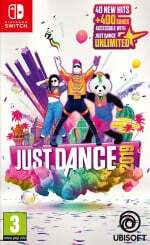 Just Dance 2019 (Ubisoft, €49.99 / £39.99) - Wherever life takes you, Just Dance 2019 will keep you dancing for hours with an insane amount of content for the whole family to enjoy! Just Dance 2019 comes with over 40 new and fun songs, and access to more than 400 songs available with Just Dance Unlimited. Every copy of the game comes with 1-month of free access! SkyTime (Sometimes You, €2.99 / £2.69, pre-order from 22/10/2018) - SkyTime is a 3D platformer in which you slow time, dodge bullets, destroy turrets, and overcome obstacles! Carnival Games (2K, €39.99 / £34.99, pre-order from 23/10/2018) - Hit home runs, pile the highest stack of cakes, and take your horse to the finish line. 20 total mini-games will have you and your friends stepping right up to win again and again! Collidalot (Grunka Munka, €10.99 / £9.99, pre-order from 23/10/2018) - Jet-powered hover cars meet full-speed destruction derby chaos! Strap into the torn leather seat of an apocalyptic jet car and grind for your life! Full Metal Furies (Cellar Door Games, €19.99 / £14.99, pre-order from 23/10/2018) - FULL METAL FURIES puts an emphasis on team play with a unique combat system where everyone is important. Work together to defeat special enemies, string organics combos to deal massive damage, and save a war-torn world that is battling itself to extinction. Rogue Legacy (Cellar Door Games, €14.99 / £10.99, pre-order from 23/10/2018) - Rogue Legacy is a genealogical rogue-"LITE" where anyone can be a hero. Each time you die, your child will succeed you. Every child is unique. One child might be colourblind, another might have vertigo-- they could even be a dwarf. The Shapeshifting Detective (Wales Interactive, €12.99 / £9.99, pre-order from 23/10/2018) - The Shapeshifting Detective is a supernatural-noir murder mystery FMV game. Play as a detective and investigate the murder by shapeshifting into any character. Even the next victim. WORLD OF FINAL FANTASY MAXIMA (SQUARE ENIX, €39.99 / £34.99, pre-order from 23/10/2018) - This new and enhanced version of WORLD OF FINAL FANTASY also features the Avatar Change system, which allows the protagonists, Reynn and Lann, to fight as Champions. Fight your way through exhilarating battles as legendary FINAL FANTASY heroes! Varion (Light Maze, €12.99 / £10.29, pre-order from 23/10/2018) - Team up or fight for yourself, build dirty tactics and take advantage of ever-changing dangerous stages in up-to-4 player restless battles to become the supreme ruler of your living room! Adventures of Bertram Fiddle Episode 2: A Bleaker Predicklement (Chorus Worldwide Games, €7.99 / £7.19, pre-order from 25/10/2018) - Puzzles! Pigeons! And Puns! The year is 1884 and Victorian London is ready for the greatest Adventure ever told. Part story, part animated cartoon, part puzzle game - A Bleaker Predicklement is a wonder to behold. Can you solve the puzzles and help Bertram Fiddle finally track down the despicable Geoff the Murderer? Astebreed (ACTIVE GAMING MEDIA, €10.43 / £9.35, pre-order from 25/10/2018) - Blaze through the battlefield in style in your "Crossbreed" - a mech suit built jointly of human and alien technology. Johnny Turbo's Arcade: Heavy Burger (FTE Games, €17.50 / £15.40, pre-order from 25/10/2018) - 1-4 Players can battle against time-honoured characters in a nostalgia-inducing collage of retro set-pieces from BurgerTime, Karate Champ, Lock ‘N Chase, Heavy Barrel, Side Pocket, and Bad Dudes! Johnny Turbo's Arcade: Night Slashers (FTE Games, €7.99 / £7.10, pre-order from 25/10/2018) - Stop King Zarutz and his army of evil undead monsters from taking over the world! So that's your lot for this week's Nintendo Download. Go on, be a sport and drop a vote in the poll above, and a comment below with your hot picks! It's not listed here, but Marble It Up is supposed to have an October 29th release, since it probably counts as next week. That's what I'm looking forward to. 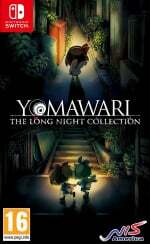 So the delay of Hamster games last week didn't mean it was a correction of the gap between Europe and America, because this week we have four releases (2 ACA, 2 Arcade Archives) -although the ones belonging to last week were available already on Monday-, so we Europeans still have an advantage of 1 week. Johnny Turbo's Arcade releases finally another game in Europe, and I mean a retro one, Night Slashers, but... unlike the Americas, here we don't have the 1 € discount for one week. Not even as a way to make up for the lack of releases. Hm. Yoku's Island Express for me I think. I will pre-command World of Final Fantasy!! 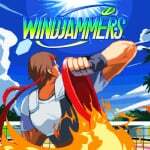 Windjammers, finally got it for Switch! Deadbolt would be a great choice for this week too, but I have that one already on PC. I could be making a blinkin' fortune from Foldapuz.com !! 39 releases, crazy. Nintendo did say a few weeks ago though they want to increase the amount of weekly releases. "Can't play X games on X console." That's why I own all three consoles. Only way I can play all the games. And if I couldn't afford all three I would do the necessary research to choose the console that would have the games that would appeal to me most. To sum up, your comment was pointless. I was really hoping Wolfenstein 2 or The Walking Dead would be on some sort of Halloween themed eShop sale. Lots of choice this week though! Tell me when the Christmas sales start. I'll be playing RDR2 until then. 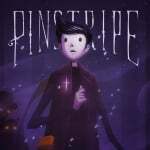 @chardir It's a lovely game, I don't think you'll be disappointed. @SBandy I think I commented more about RDR2 to highlight there is something big happening elsewhere in gaming at the moment - it provides some context for the Nintendo downloads this week. And I understand your argument. I like the Switch and recognise its limitations, but that doesn't mean I don't on occasion wish some of the bigger, shinier, epic releases available elsewhere would make it across. Am I salty? Nope. I would have invested in other formats long ago if I was bothered. And I'm too busy with too many other responsibilities as a grown up to need to! Holy moly that's a lot of stuff...oly. Shamelessly took advantage of four discounts a few minutes ago. I regret nothing. Why highlight it though? What does it achieve exactly? Did you really expect RDR 2 to come to the Switch? And if you aren't bothered because of your grown up responsibilities it makes your comment even more pointles to be honest! @Blister said "Lots of games. However I can't play Red Dead Redemption on Switch..."
Having a blast with Pianista so far. Only Strikers 1945 PLUS for me this week, but that's ok, i'm still busy with Black Bird and The Missing anyway.